1. I had to use my windshield wipers to clear leaves off of my car before I could see to drive. 2. On the way to work yesterday, I had the revelation as to why it is called a leaf blower!!! In New Mexico they are only used to blow dirt out of the garage…WOW. 3. I was asked to guest blog for One Hip World, the organization that raises funds for the International Hip Dysplasia Institute. I said yes. 4. Two schools from my hometown have asked me to share my testimony in chapel while I am home during the holidays. This answer was a bit harder, but I did say yes. 5. The east coast is bracing for a hurricane. Ironically it is named “Sandy.” I know sand. This is not it. 6. Considering I endured the Lubbock, Texas haboob last October, I am more confident of my survival skills. 7. Don’t worry... I bought rain boots, a canoe and a life jacket. 8. Four-year-old Kierstin, “Hethy, are there giraffes in your country?" 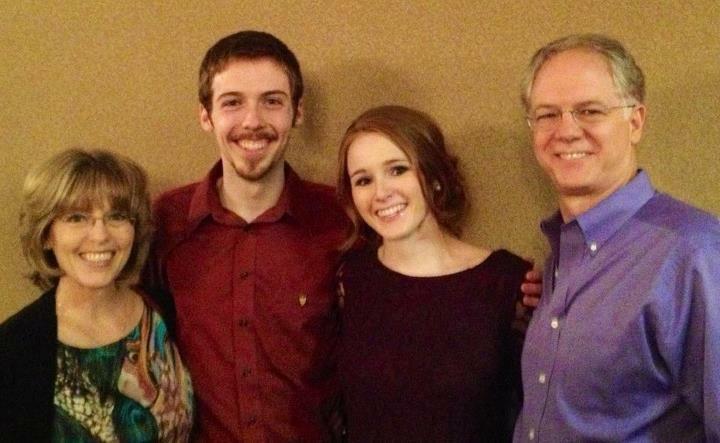 I am so thankful that God teaches each one of his children so individually. This week, the Lord met me through Walt Disney. Don’t you love God for the way He does that?! I have been in a funk for the past couple of weeks; struggling with emotions, lack of closure, faithful love that went unreturned, and the pending uncertainty of what the holidays might bring as we are both from the same small town. I have not seen him since he lovingly said "I will see you soon," in the airport. I am terrified to run into him, we had so many memories during the holidays… the list could continue but I will spare you. I allowed this fear to replace my excitement about Thanksgiving and Christmas! The heart is a direct reflection of what we focus our eyes on. I have been guilty of doing exactly what Peter did. I took my eyes off of Jesus and started to look at my circumstances. As a result I was filled with fear and doubt and began to sink; placing my heart in a very compromising position. Through the story of my favorite Disney princess, Cinderella, Jesus reached out to pull me up above the waves. WHAT? I am blessed to be able to discern the Lord’s voice, but many times I still don’t have a clue what He is saying! Knowing it was important as the Father awakened it in my spirit, I pondered the question all day. 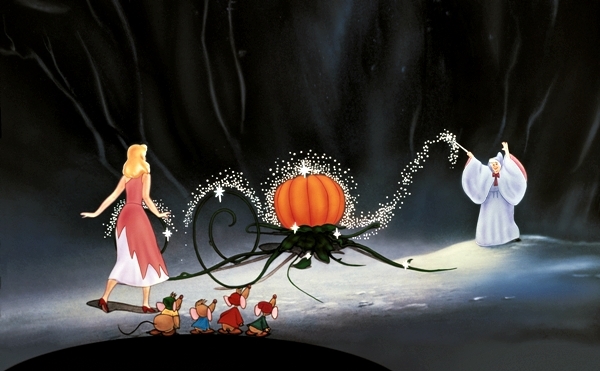 Cinderella possessed a servant’s heart. Following a moment of desperation, betrayal, shattered dreams and brokenness, the fairy godmother came to her in the midst of her tears. She transformed Cinderella from rags to glory. She blessed her – with the stipulation that all magic ended at midnight. 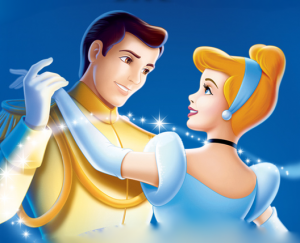 At the ball, Cinderella was not fake, she was not posing; she still possessed the same humble, servant’s heart. Yet, she was spell-bindingly beautiful. She was given everything she ever wanted. She had the Prince, the attention, the gown, the fairytale. And yet, almost cruelly, the clock struck 12. Cling. Cling. Cling. Cling. Cling. Cling. Cling. Cling. Cling. Cling. Cling. Cling. Obeying the fairy godmother, she walked (no, ran) away from her dream come true. Any girl knows that running in heels should be an Olympic event. Poor Cinderella had a battle with her slipper. She left it on the stairs and kept running. Yes, she paused and looked; a moment of hesitation. But, she didn’t go back. she would have never become a princess. Had she gone back, she would have risked being exposed. Would the Prince have viewed her differently? Maybe. Maybe not. Would others jeer and sneer? Possibly. Had she gone back, she would have reclaimed the one piece of evidence that led the Prince in his passionate pursuit to find her. Had she gone back, she would have clung to the temporary and unknowingly sacrificed her destiny. Her destiny to become a Princess. This week I was in Cinderella’s “pause” moment. I glanced back. I took one last look at my dream and considered whether or not I would keep running in obedience with the godmother’s wishes. 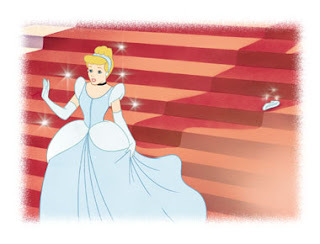 In hindsight, at that dramatic “pause” moment, Cinderella had no idea she would become a Princess. But, she obeyed, displayed her faith, and trusted. I almost went back to get the slipper. This would have been disobedience to my Father. It would have been selfish. I would have sacrificed the eternal on the altar of the immediate. I would much rather become a Princess than hang on to an old shoe! I desire the Prince to find me. To seek me out with all of his heart. To fight for me no matter the cost. My Prince, Jesus, has already done this for me (and you)! I do pray that one day God will send an earthly prince into my life to love me as Christ loves the church. To lay his life down for me. Marriage is a picture of the Lord’s relationship with His bride. When the earthly picture of marriage is tainted and broken, the Gospel is diminished. I desire my future relationship to highlight the Gospel. To point clearly and boldly to our love relationship with the Lord. Partners in ministry. Had I gone back to get my shoe…. Who knows, I could have given up my tiara.